Firefighters in Paris, France are struggling to control a fire blazing from the Notre Dame Cathedral, which has caused the spire to collapse Monday evening. 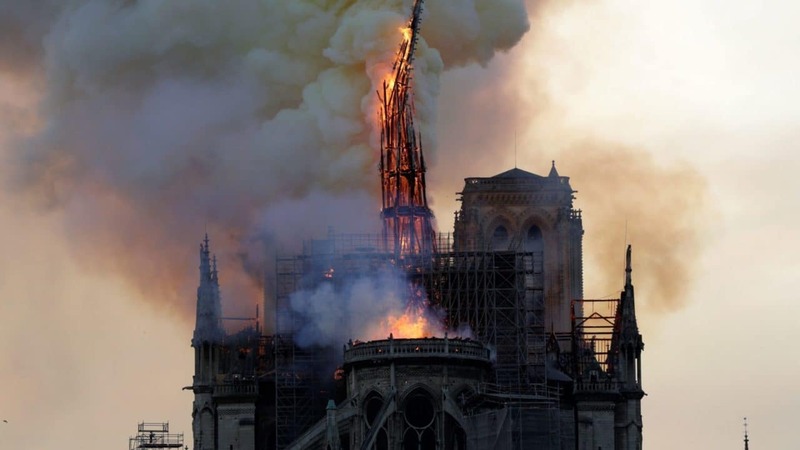 According to CNBC, the cause of the fire is not yet known, and Paris Mayor Anne Hildago is urging people to stay away from the cathedral’s area. People on social media have been sharing their thoughts about the historic cathedral, and have expressed their condolences for the landmark. Notre Dame is on fire. "Our Lady" has stood, for 856 years, as one of the last tangible icons that prove that humans can, rarely and under unusual curcumstances, create profound and lasting beauty – a testament of hope for humanity.